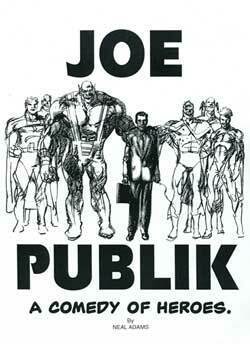 JOE PUBLIK- Family guy meets Superfriends, meets Eureka. If Joe Publik hates superheroes, why did he buy a house in Smallville? The most normal guy in America moves to the most normal town in America (Rockwell). Only to discover it is almost entirely populated by superheroes living in their secret identities. Joe is anything but a normal genius son, who pretends to be normal for his fathers sake, loves "Normal" Rockwell.. To Joe, Rockwell is practically his worst nightmare come true.